Beautiful Frank! Nice decision to leave the mountains out of it. Very nice. Great use of contrasting colors, Frank! Great photograph. I agree with the comments on the contrast of colors. 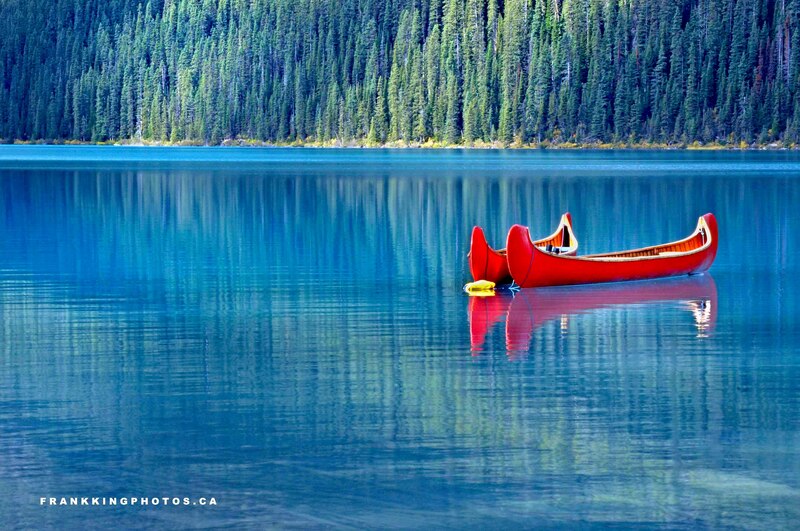 The red canoes on that blue water is awesome. Thank you for visiting my blog and liking “Give More, Expect Less”. Enjoy the day! Hi Frank. I nominated you for the “One Lovely Blog” Award. For more information, please visit my blog at http://www.robyngrahamphotography.com. Love the reflection in this. I would perhaps move the cyan hue to a little more blue, or desaturate just a tad. Great image!